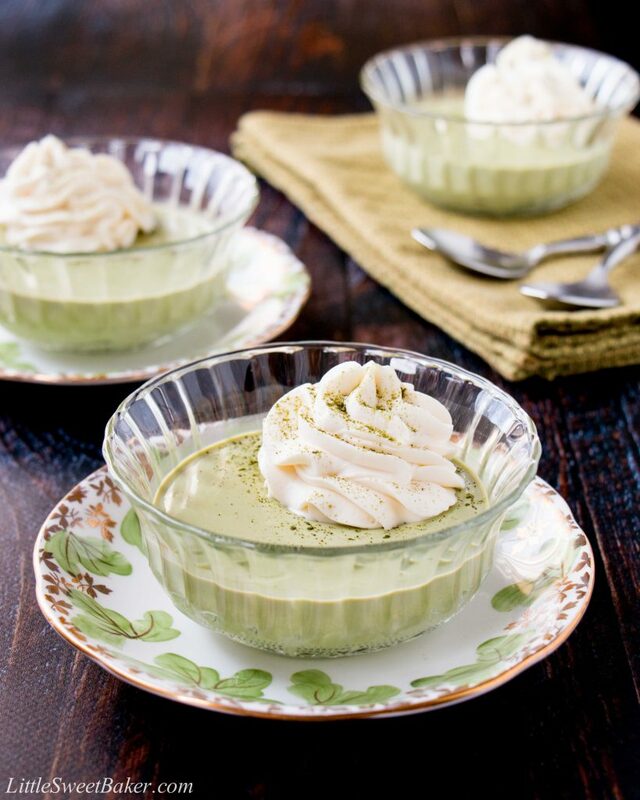 This creamy and smooth matcha pudding has a fresh and earthy green tea taste. 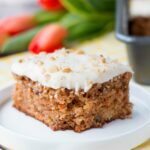 It’s topped with a luscious white chocolate whipped cream to enhance the elegance of the dessert and natural sweetness of the tea leaves. 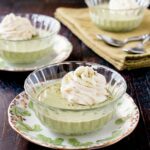 I’ve received a few requests for a green tea pudding recipe from fans of my mango pudding recipe, so here it is! 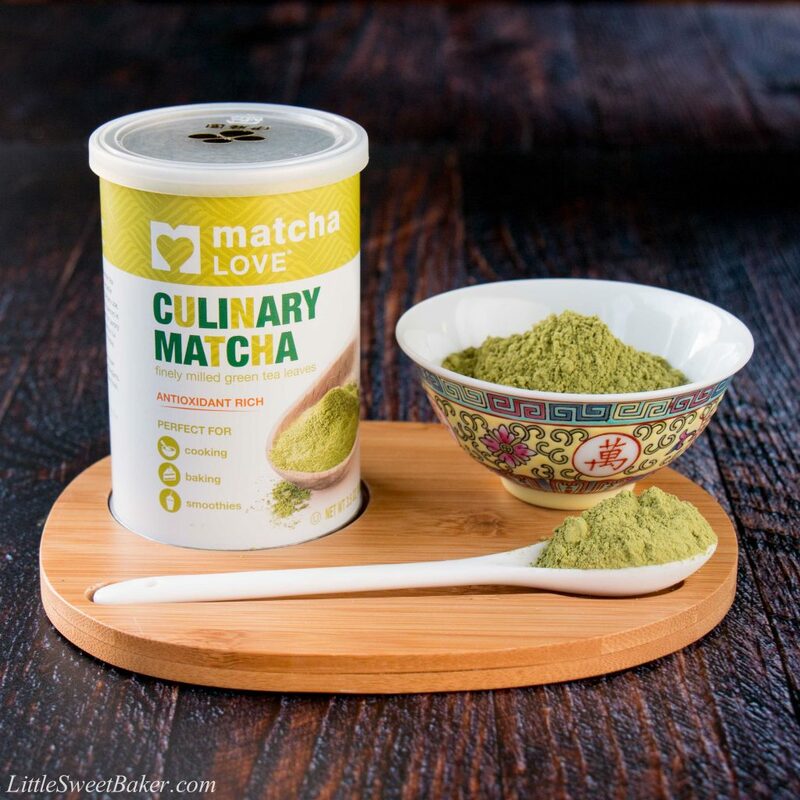 I also happened to receive a sample of culinary matcha powder from the wonderful folks at Matcha Love, so the timing was perfect. This high-grade of finely milled whole green tea leaves is designed for cooking and baking. As soon as I opened the container I could smell the lovely herbal and nutty aroma of the natural green tea leaves. The soft grassy scent was so fresh and calming. This recipe is starts with heating some milk, matcha powder, sugar and gelatin over the stovetop until everything is dissolved. Then you strain the mixture to ensure a smooth texture. You add some fresh whipping cream for a little richness and chill the pudding until set. 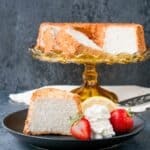 For the topping, you simply melt some white chocolate with some more whipping cream, chill it in the fridge until cold, and whip until light and fluffy. 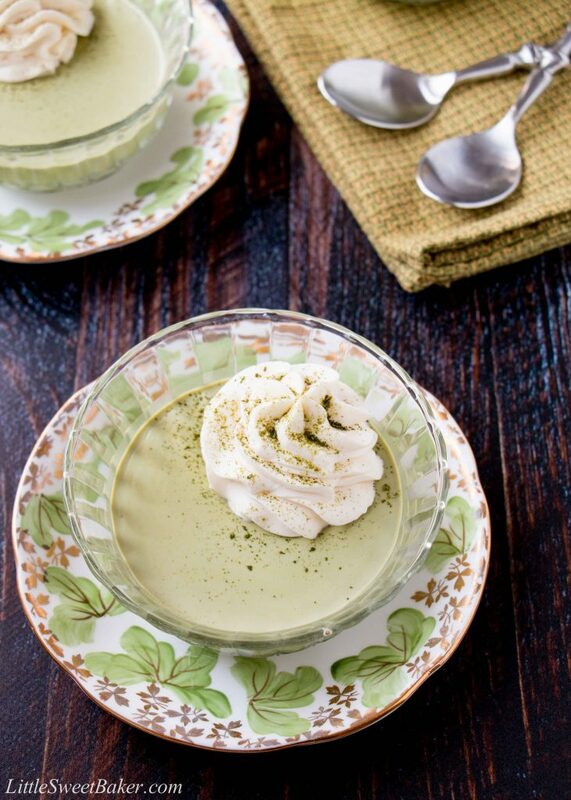 This heavenly matcha green tea pudding is silky-smooth with a vibrant herbal grassy taste. 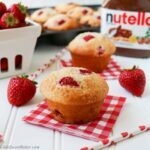 The flavor is balanced with a sweet creamy white chocolate topping. It’s exceptionally refreshing served cold with its rich and velvety texture. 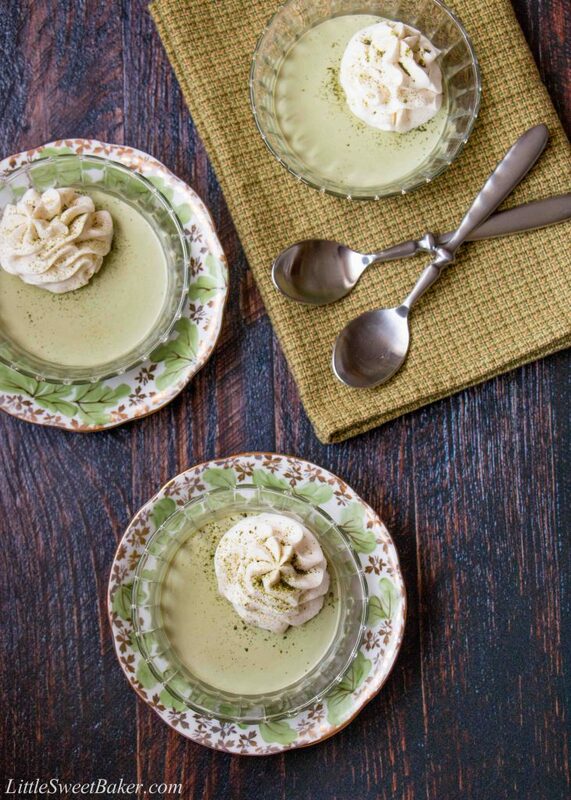 This heavenly matcha green tea pudding is silky-smooth with a vibrant herbal grassy taste. 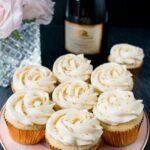 The flavor is balanced with a sweet creamy white chocolate topping. Melt the white chocolate and whipping cream together over a double boiler until completely melted and smooth. Set aside to cool while preparing the pudding. Whisk together the milk, matcha powder, sugar and gelatin in a small saucepan. Over medium heat bring to a simmer, whisking constantly until everything is melted. Strain the mixture through a fine sieve and whisk in the whipping cream. Pour into 4 ramekins or small bowls. Place both the pudding and white chocolate cream in the fridge for a minimum of 4 hours. Whip the white chocolate cream until medium-stiff peaks form. Pipe or spoon on top of pudding before serving.